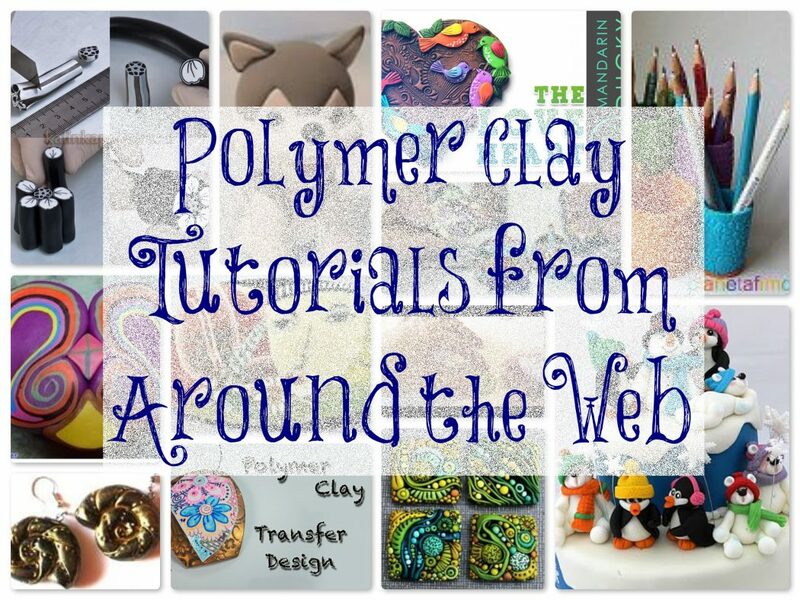 I was asked by a reader awhile ago if I could do a “mash up” of different polymer clay tutorials from around the web. As I come across tutorials, I tend to tweet them, pin them, or share them on my FaceBook page. One of my readers asked that since I was sharing so many of them, would I mind taking the time to share them with you in a single post here on the blog every once and awhile. So … this is the third time I have done this for you, if you would like to see more of these, comment below. If not … I’ll go back to my normal Tuesday activities! Black & White Flower Cane by Kollika. Repin here. Fondant Husky Tutorial by Manualidadessfran. Repin here. Love Heart with Birds Tutorial by MandarinDucky. Repin here. Polymer clay pencil holder by PlanetFimo as posted by Kollika. Repin here. Winter cake inspiration (no tutorial) by Viorica. Repin here. Clay cane pendants by Teresa Pandora Salgado. Repin here. Wildflower pendant by LaBohemeDesigns. Repin here. Inchie tutorial by CobaltMoon. Repin here. Translucent Dragonfly Wings by Barbara McGuire. Repin here. Polymer clay design transfer by MoClay. Repin here. Soutache Kaleidoscope Cane as posted by Kollika. Repin here. Nautilus shell earrings tutorial. Repin here. The tiger cane tutorial won’t open 🙁 it says database error. Hey Michelle – Thanks for bringing this to my attention. I think the problem is now fixed! Thank you so much for your weekly post I love learning and these are so much fun.